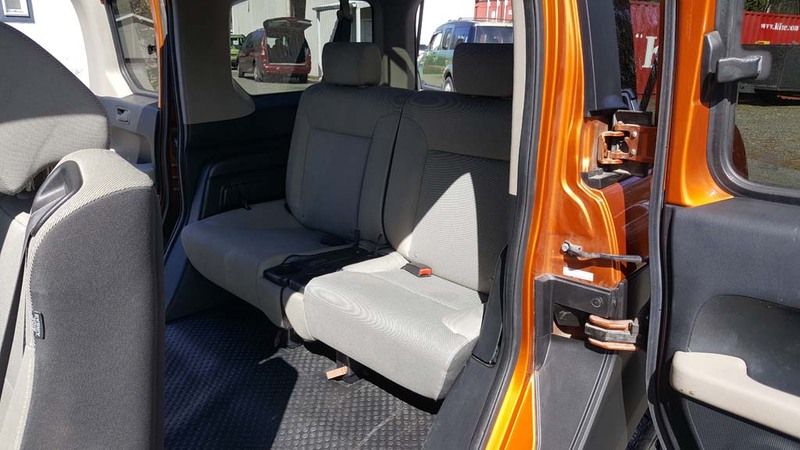 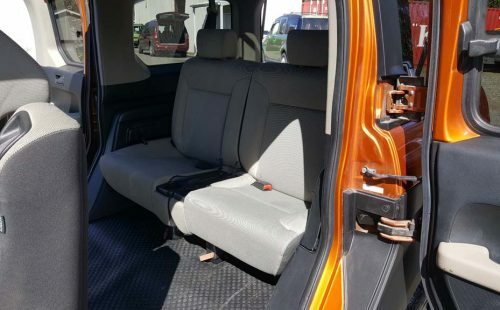 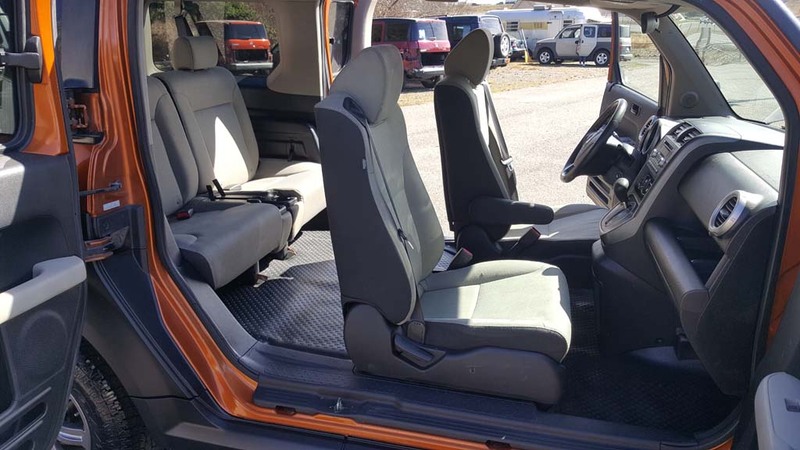 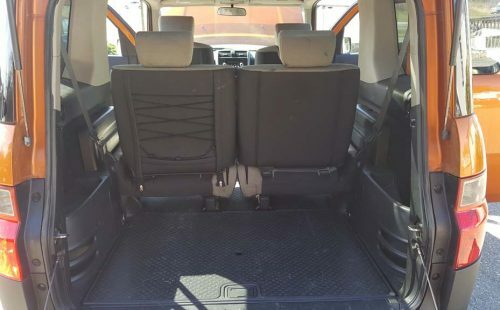 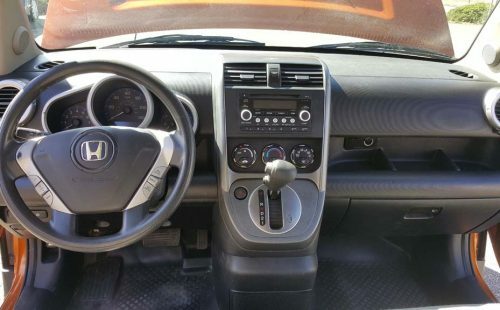 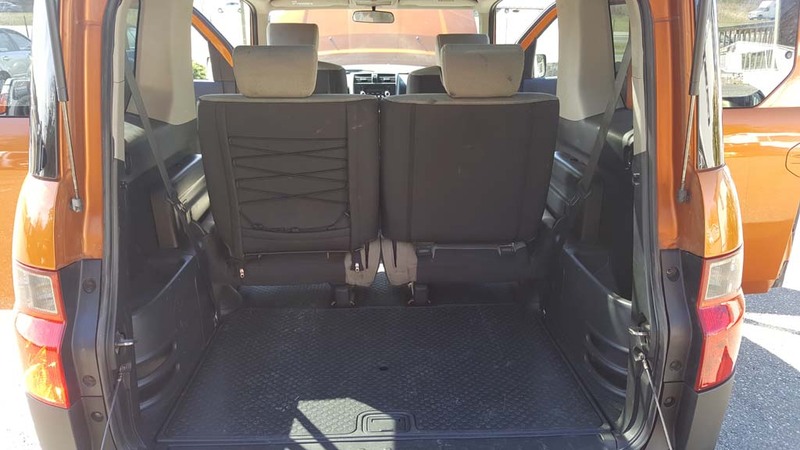 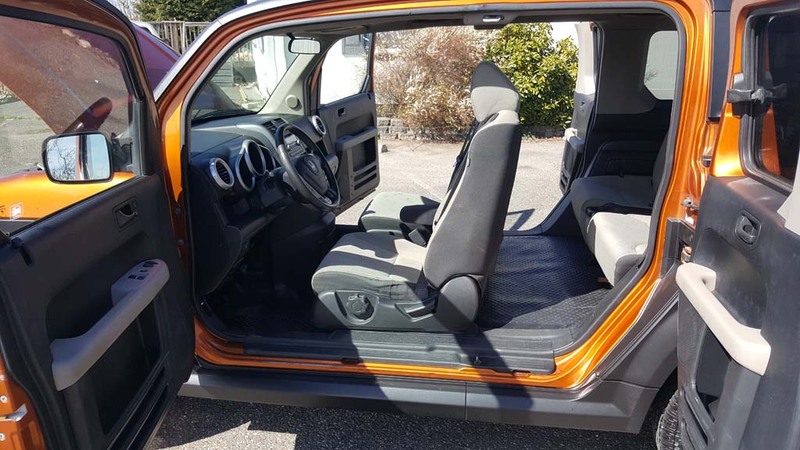 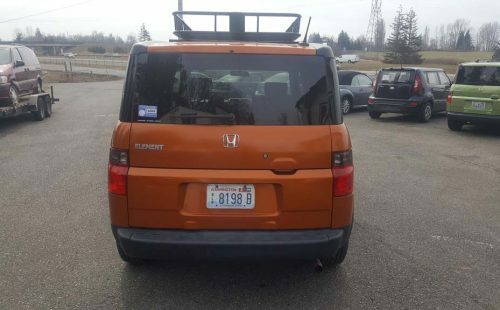 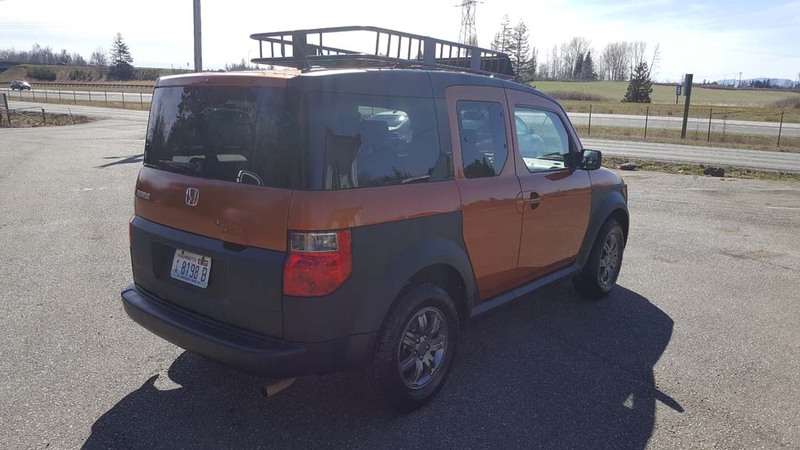 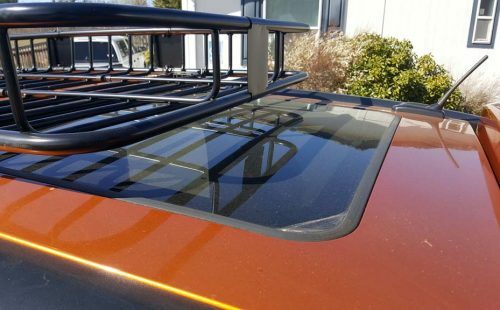 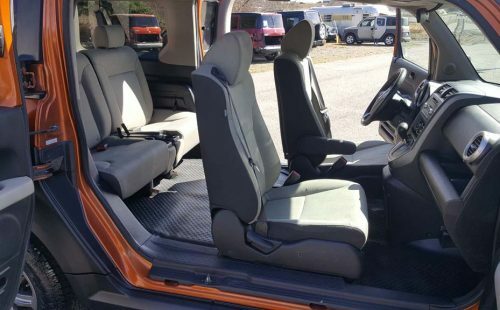 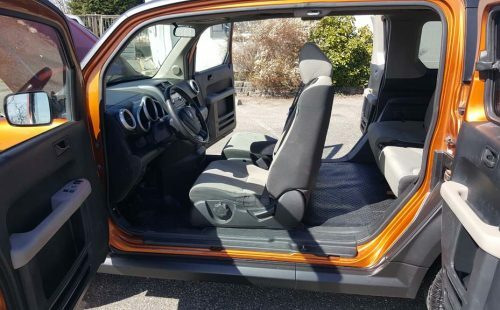 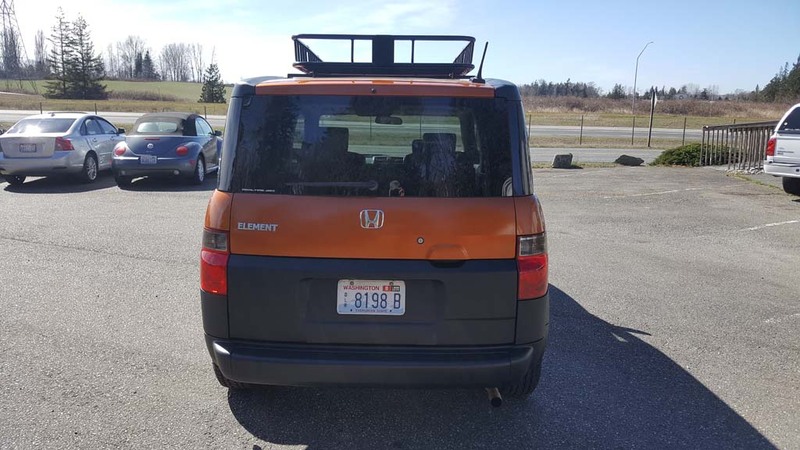 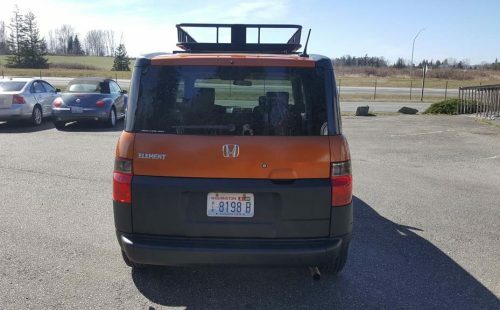 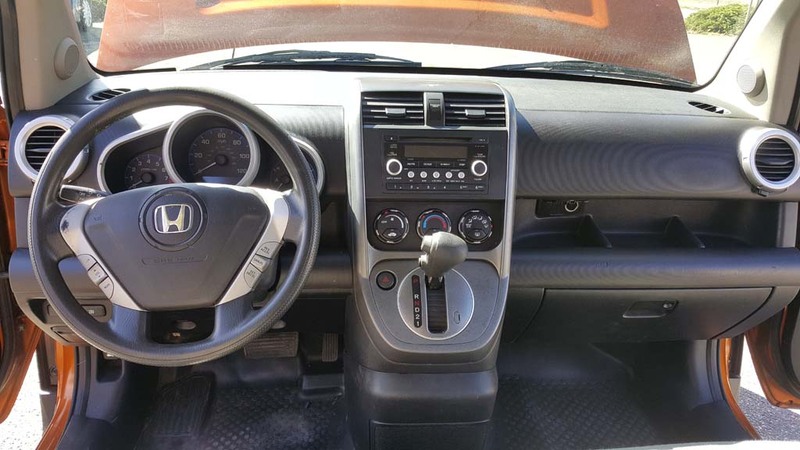 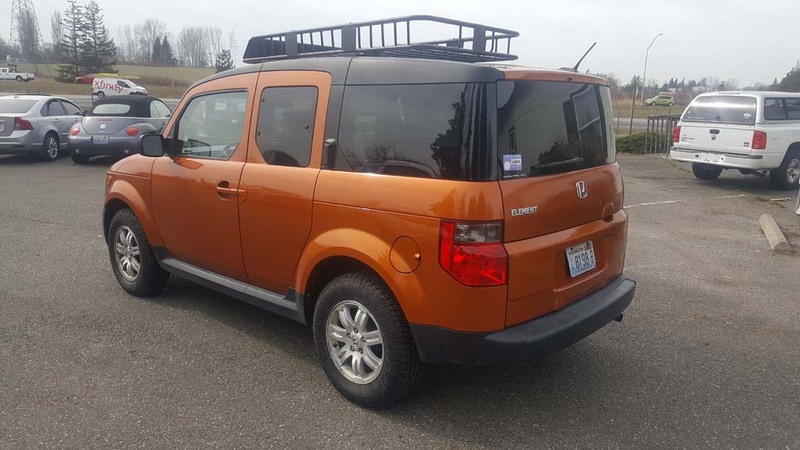 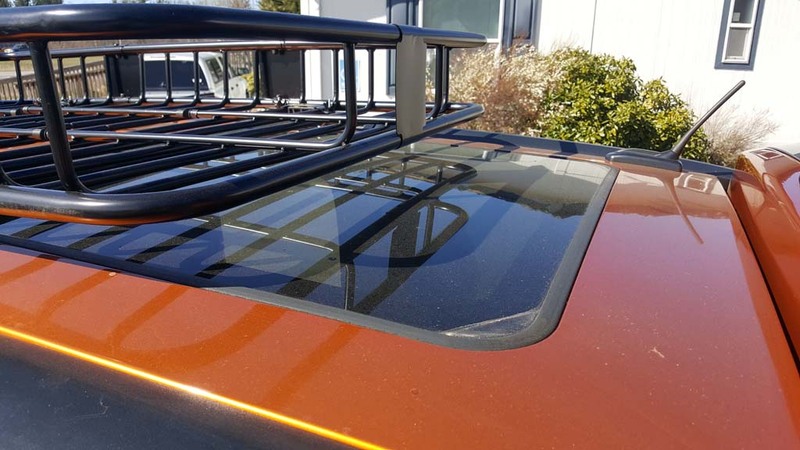 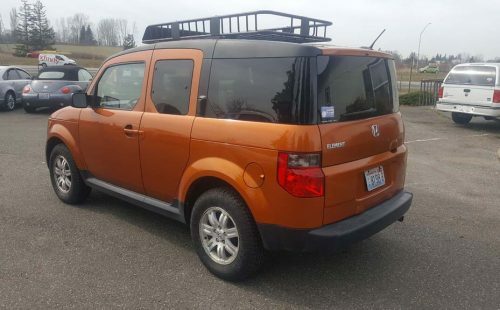 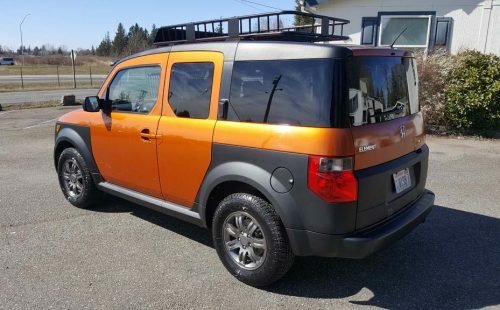 This is the coolest Honda Element ZEN Motors has offered to date. 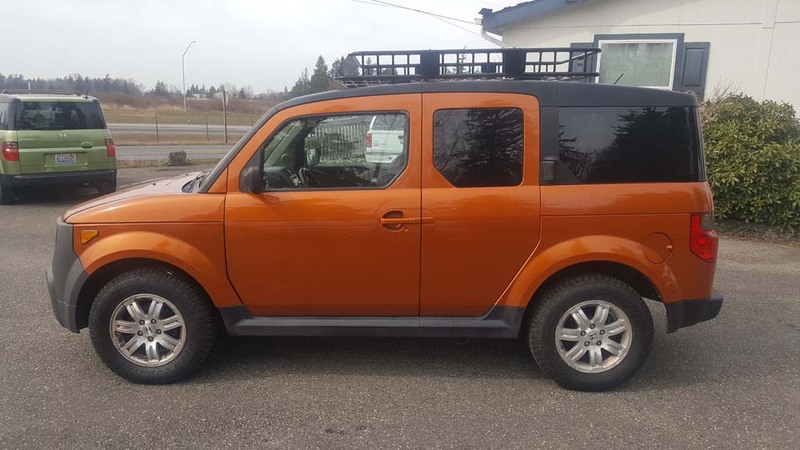 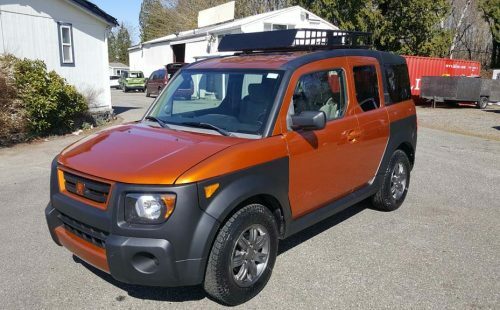 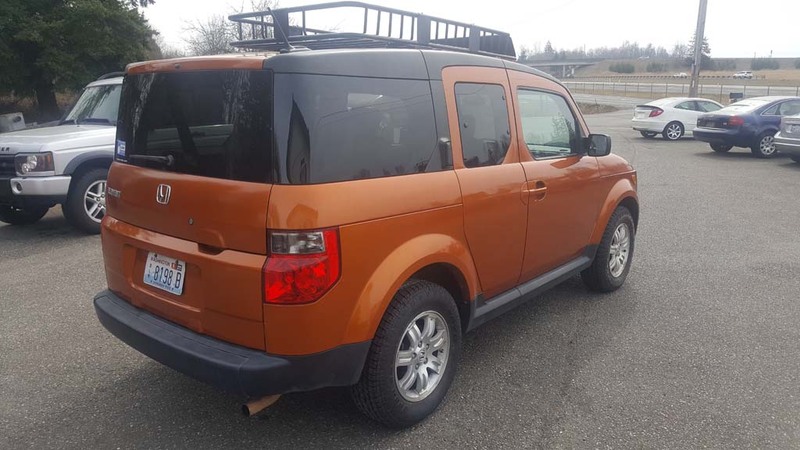 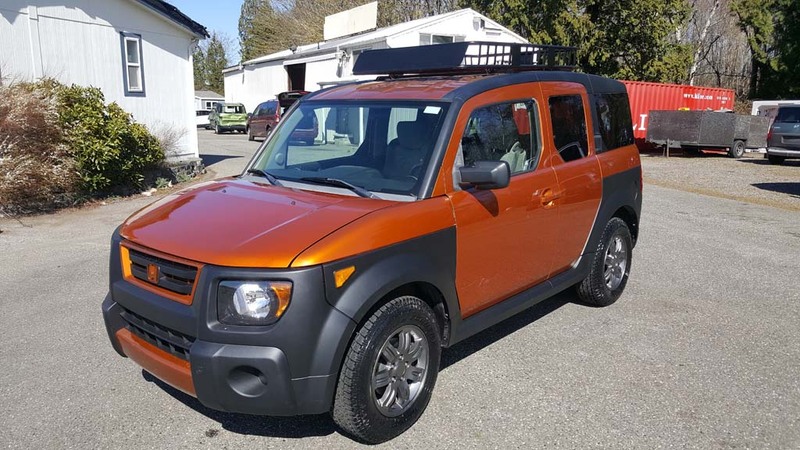 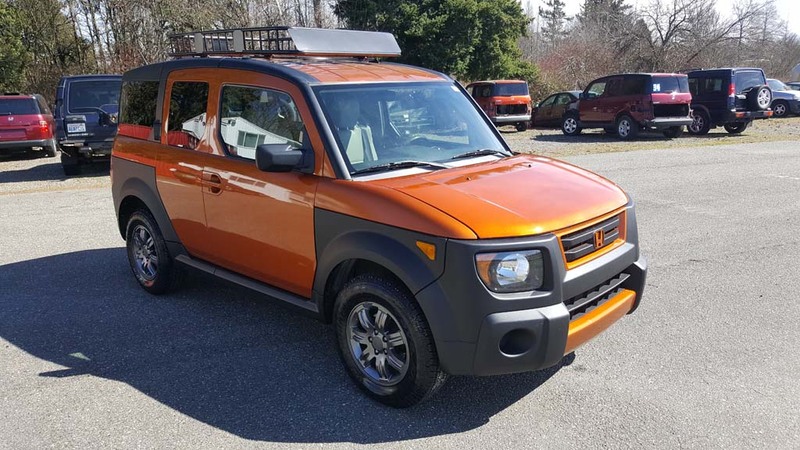 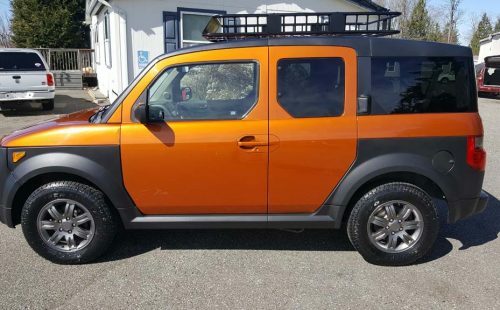 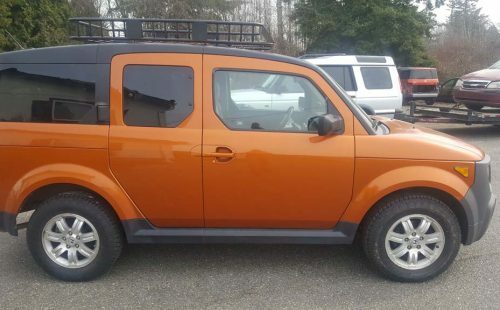 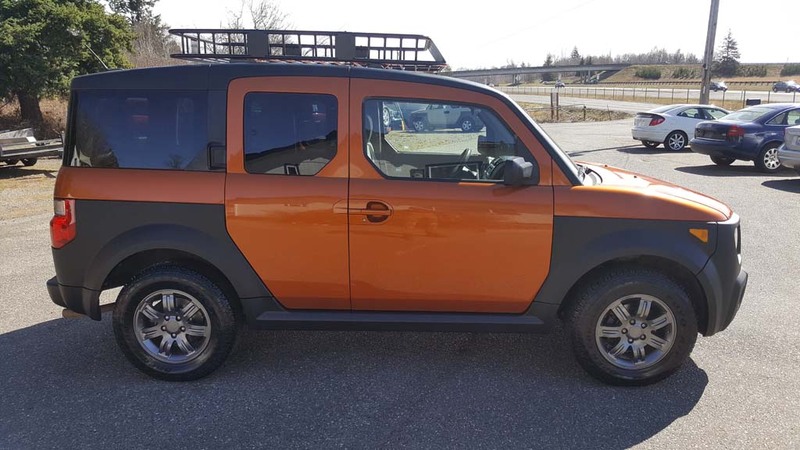 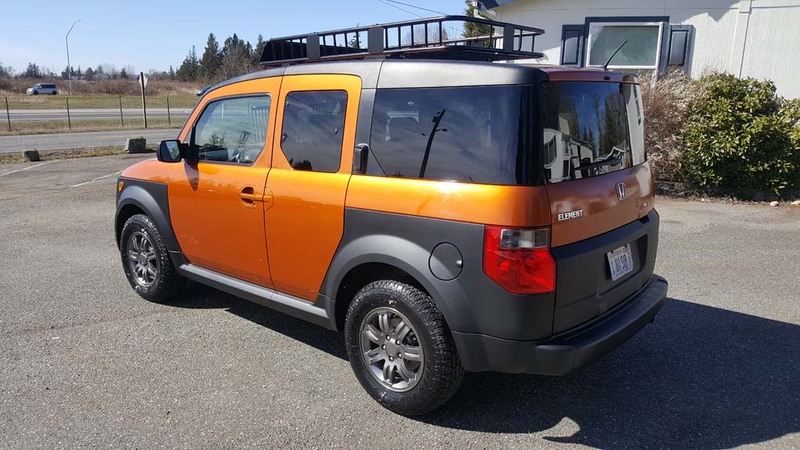 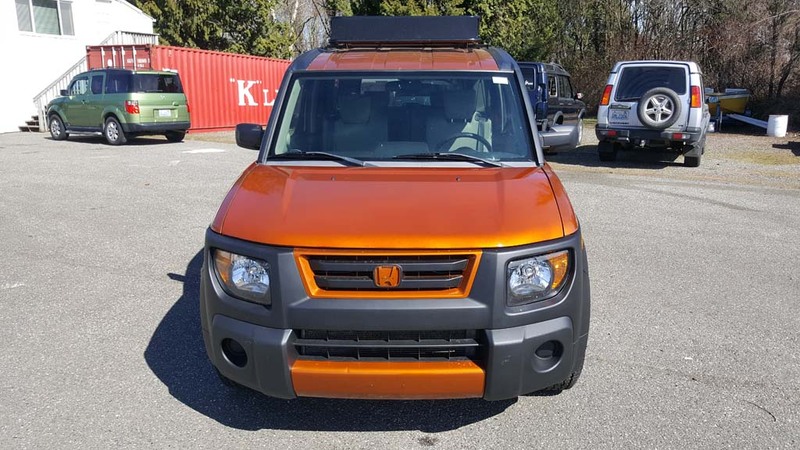 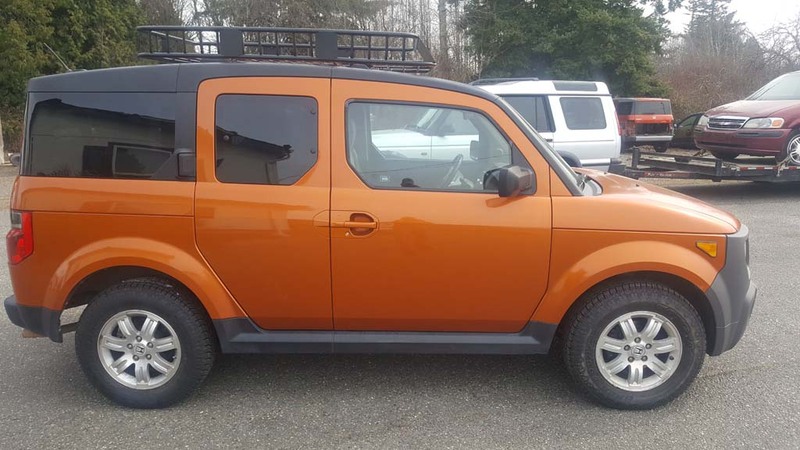 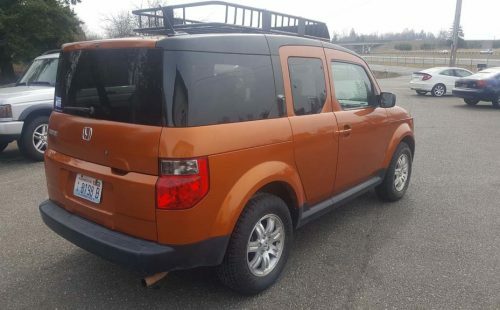 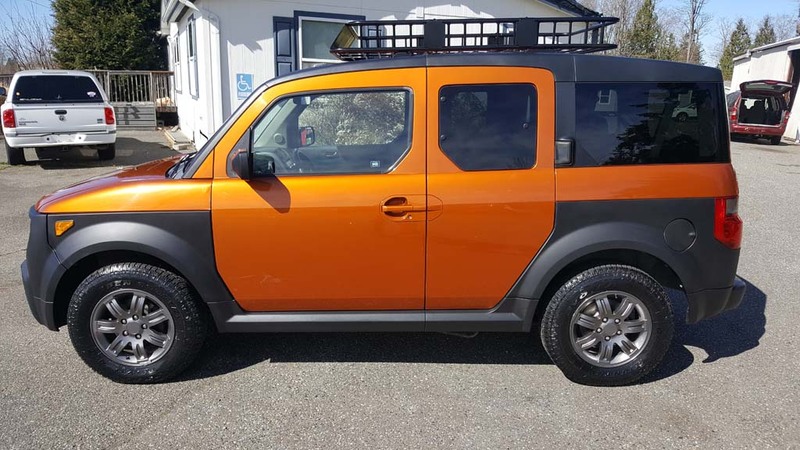 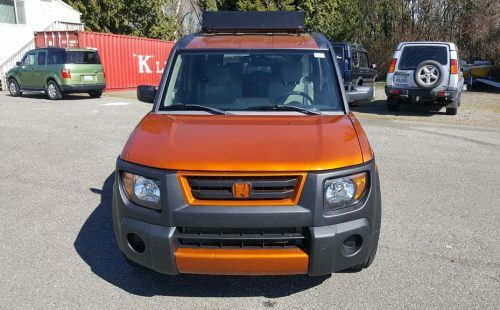 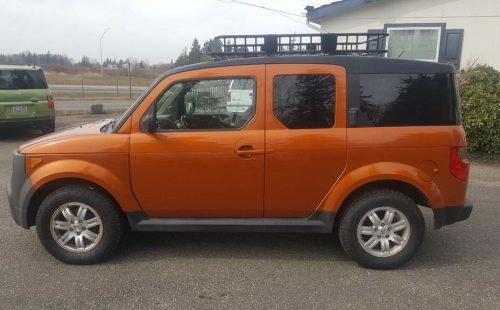 Tangerine mist metallic over black, charcoal wheel refinish, painted grille and fascia, Remote power locks, tinted power windows, cruise control, A/C, moon roof, all wheel drive automatic transmission. 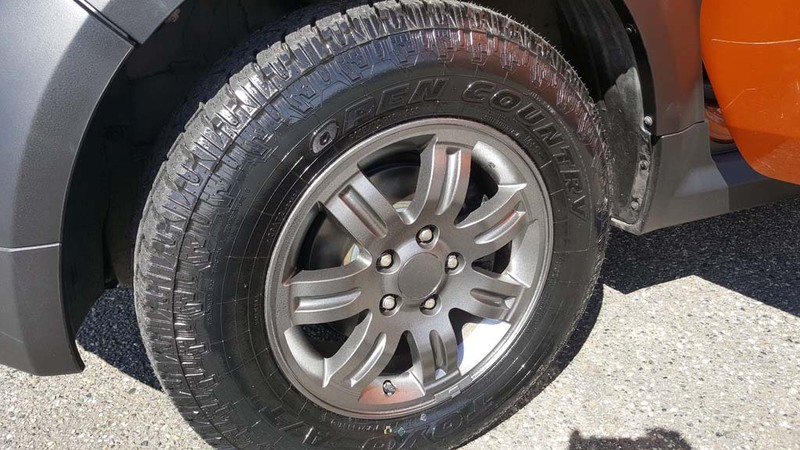 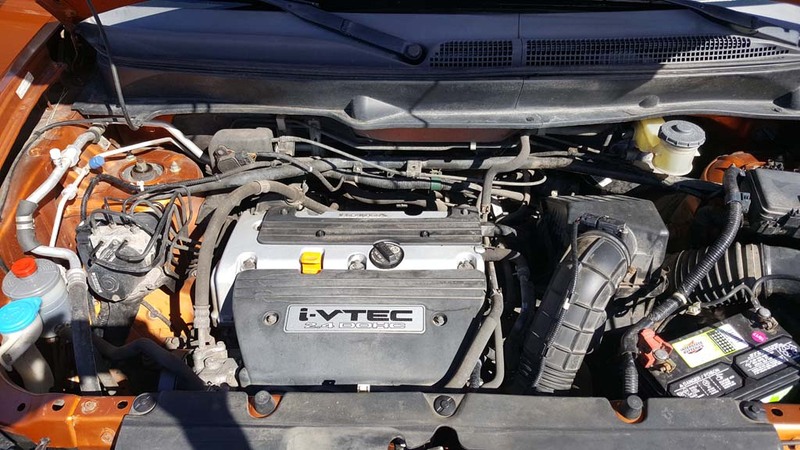 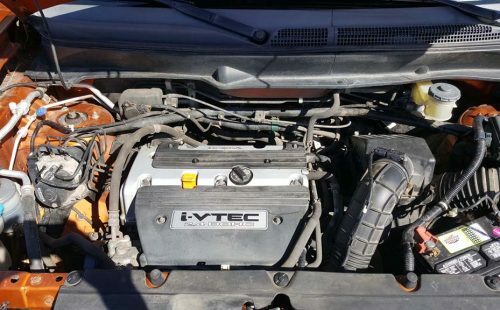 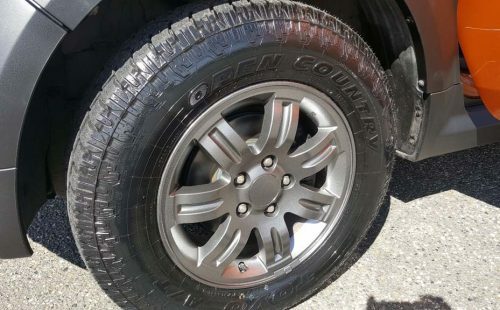 totally restored and serviced and backed by a 90 day no hassle warranty. I still have the orange body panels if you prefer the stock look. 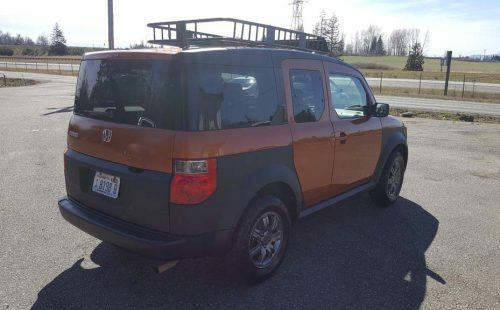 the last few photos were taken before I swapped them out. 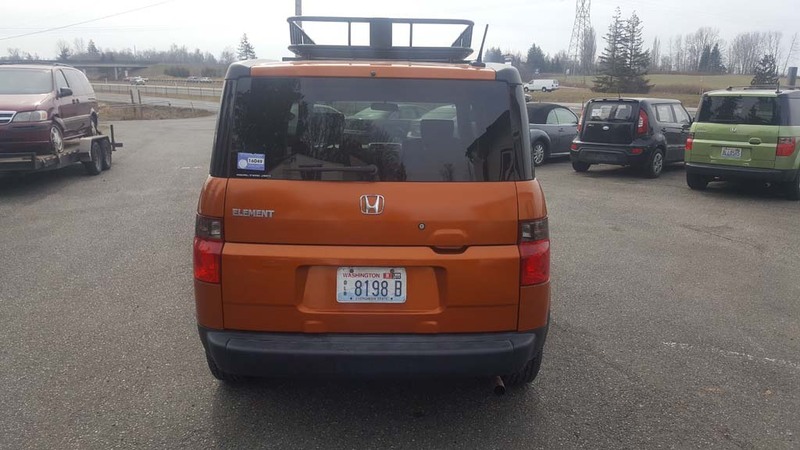 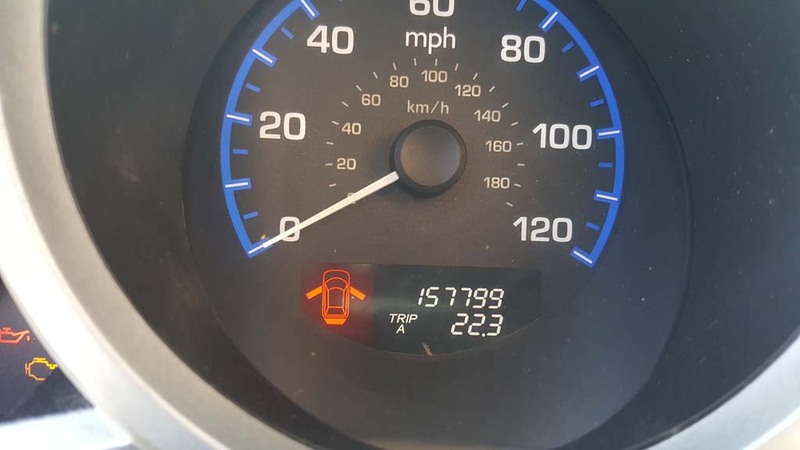 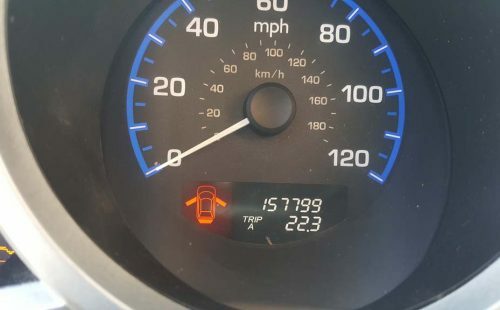 State and local sales tax, $125 for new plates, title, and registration is added to the purchase plus a $75 negotiable document fee, NO OTHER FEES!